The amount of time required to amortize the mortgage loan. The amortization term is expressed as a number of months. For example, for a 30-year fixed rate mortgage, the amortization term is 360 months. Any conditions revealed by a title search that adversely affect the title to real estate. Usually, clouds on title cannot be removed except by a quitclaim deed, release, or court action. With this type of loan, you receive a first mortgage for 80 percent of the loan amount and a second mortgage at the same time for the remainder of the balance. If avoiding PMI (mortgage insurance) is important to you, consider combination loans--known as 80/10/10 loans or 80/20's. A person who signs a promissory note along with the borrower. A co- maker's signature guarantees that the loan will be repaid because the borrower and the co-maker are equally responsible for the repayment. See endorser. A deed was given by a mortgagor to the mortgagee to satisfy a debt and avoid foreclosure. A decline in the value of the property; the opposite of appreciation. The ownership interest of an individual in real property. The sum total of all the real property and personal property owned by an individual at the time of death. Loan payments have two components, principal, and interest. An interest-only loan has no principal component for a specified period of time. These special loans minimize your monthly payments by eliminating the need to pay down your balance during the interest-only period, giving you greater cash flow control and/or increased purchasing power. LIBOR stands for London Inter-Bank Offered Rate. This is a favorable interest rate offered for U.S. dollar deposits for a group of London banks. There are several different LIBOR rates, defined by the maturity of their deposit. The LIBOR is an international index that follows world economic conditions. LIBOR-indexed ARMs offer borrowers aggressive initial rates and have proven to be competitive with popular ARM indexes like the Treasury bill. Insurance is written by an independent mortgage insurance company protecting the mortgage lender against loss incurred by a mortgage default. Usually required for loans with an LTV of 80.01% or higher. Negative Amortization, or "deferred interest," occurs when the mortgage payment is less than a loan's accruing interest. This causes a loan's balance to grow instead of reducing or "amortize." A fee imposed by a lender to cover certain processing expenses in connection with making a real estate loan. Usually, a percentage of the amount loaned, such as one percent. Principal, interest, taxes, and insurance--the components of a monthly mortgage payment. This term refers to the total amount of money originally deposited into a Savings or CD account. When taking out a loan, however, it refers to the amount of debt, not including interest. Insurance provided by nongovernment insurers that protect lenders against loss if a borrower defaults. Fannie Mae generally requires private mortgage insurance for loans with loan-to-value (LTV) percentages greater than 80%. The ratio of your fixed monthly expenses to your gross monthly income used to determine how much you can afford to borrow. The fixed monthly expenses would include PITI along with other obligations such as student loans, car loans, or credit card payments. 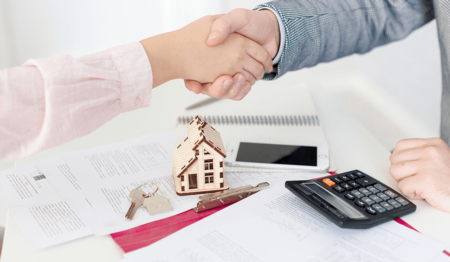 A written agreement in which the lender guarantees the borrower a specified interest rate provided the loan closes within a set period of time. 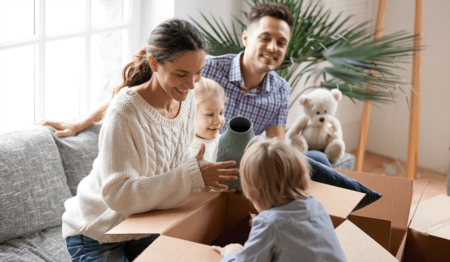 If you are refinancing your first mortgage and have an existing second or home equity line, one option is to "subordinate" the second mortgage: request that your second mortgage holder goes back into the second lien position when you replace your existing first mortgage with the new refinance loan. An undivided interest in property taken by two or more persons. The interest need not be equal. Upon the death of one or more persons, there is no right of survivorship.